Whomp whomp. 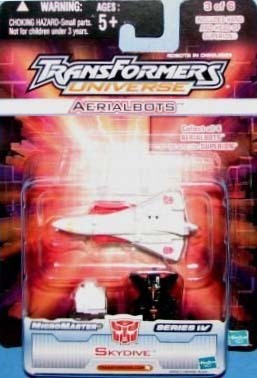 There're no Skydive (Micromaster)s for sale. One part of a great mini reissue of Superion! This is a strange set, as it features 6 figures as opposed to 5 in the original, but is a must-have for gestalt collectors.